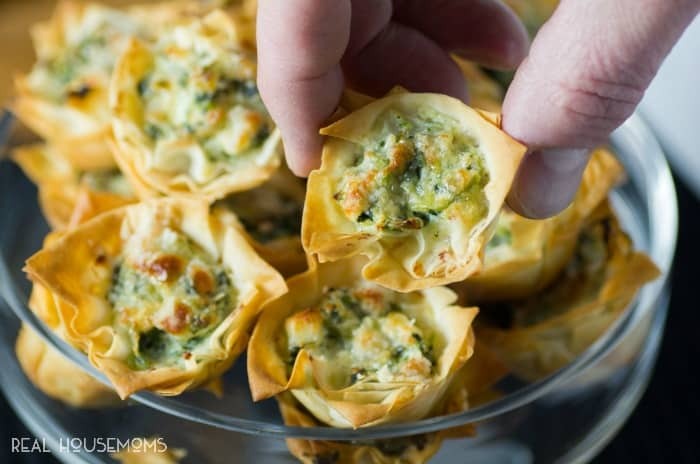 Spanakopita Tarts have all the same great flavor you love in a small grab and pop appetizer! These tarts are elegant enough for the holiday season, and will go perfectly with all your other bite-sized morsels! Spanakopita or spinach pie is a Greek savory pastry. 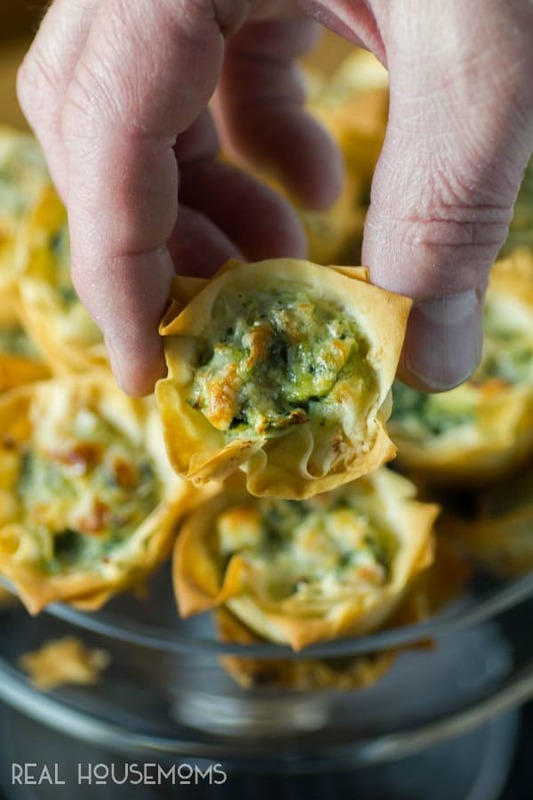 All the traditional ingredients are still here, phyllo pastry, spinach, feta, onion and then we added in a little ricotta too and topped the tarts with Parmesan. Don’t they look scrumptious? 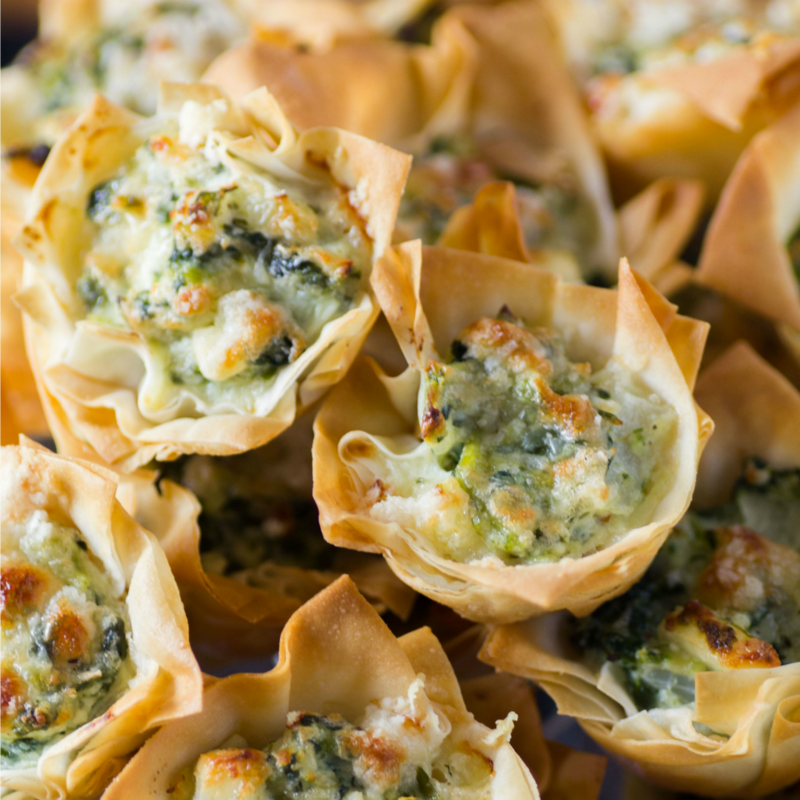 Plus, these are a great make ahead and pop them into the freezer appetizer. They don’t need to be thawed and actually shouldn’t be. They go right from the freezer to the oven and then served. You can add a little tzatziki for dipping as that is very traditional too. These are made in a tiny muffin pan so you can whip up a bunch pretty quickly. They come out golden brown with the addition of the little bit of Parmesan on the top. The phyllo is crispy and delicious!! Your family and friends will crowd around when these are pulled out of the oven. They are wonderful hot but can still be fantastic at room temperature too. This would be the perfect appetizer not only for all your Christmas entertaining but stunning for New Year’s Eve too!! Stow an extra batch in the freezer now and have them at the ready. I love to be organized when people are popping in and out for the holidays or anytime for that matter. When it comes to entertaining I am all about what can I do ahead of time and what is my saving grace on the day of a party. Let this recipe help you out!! 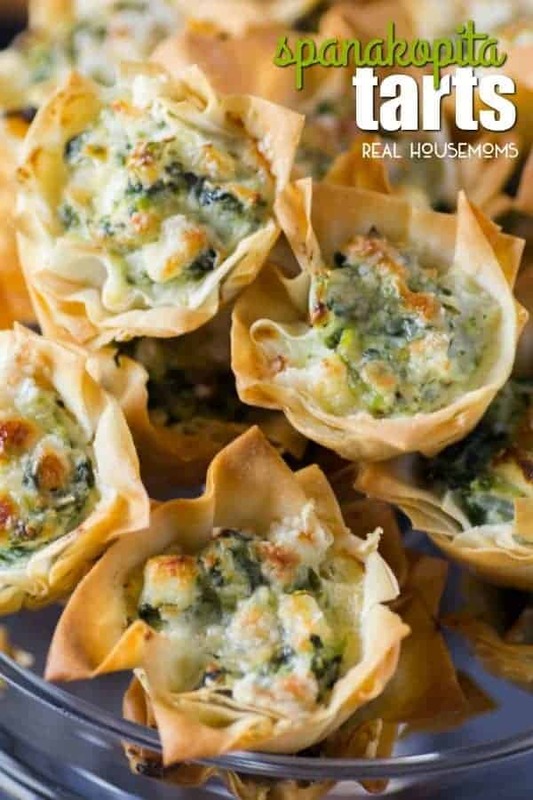 Spanakopita are reduced down to bite sized tarts giving you the ease of a quick freezer ready appetizer for the holidays and beyond. Preheat oven to 375F. Butter a 24 mini muffin pan and set aside. Heat the 1 Tbsp. of canola oil in a medium skillet over medium heat, add both the onions and cook until soft. While the onions are cooking, mix together the spinach, feta, ricotta and egg. Add in the cooked onion. Season with salt, pepper and nutmeg. Combine well and set aside. Take the phyllo from the package and roll out flat, cover with a clean damp tea towel. Remove one sheet and lay flat on the counter. Brush with the melted butter. Lay on another sheet of phyllo. With a pizza cutter or sharp knife cut into 2" pieces. Place each square in a cup of the muffin pan and lightly brush with butter. Repeat the layers two more times for each cup, off setting the squares slightly. You will then have placed three squares in each cup with a total of 6 individual sheets of phyllo. Place a tsp. of the spinach mixture in each cup and then top with a pinch of Parmesan. Bake for 15-20 min. until golden brown. Serve immediately or let cool and freeze. Note: If frozen, reheat in a 350F oven for 15-20 min. or until heated through. Will freeze well for 1-2 months if properly sealed. 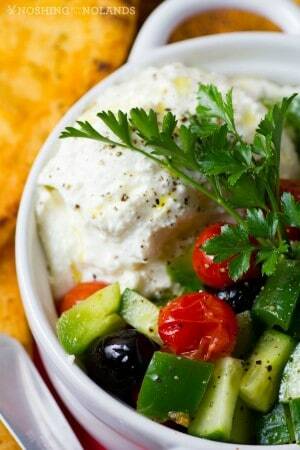 For another great Greek recipe from Noshing With The Nolands, check out this Whipped Feta recipe. It would accompany this appetizer nicely! !